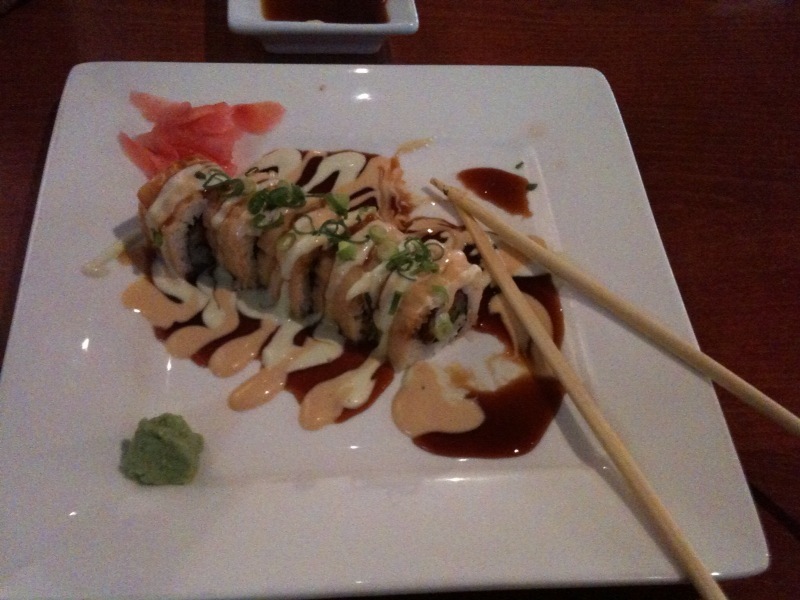 Went to Nama in Bearden today with Julie for lunch. They have the best lunch special–$8 for soup, salad, and a roll/entree off of a special lunch menu. I got a Soy Joy, which was a special, off-menu roll for a long time. It’s soooo tasty.